Before scanning technology was available on mobile phones, consumers engaged passively with marketing media and advertising messages. Shoppers could reach out for more information by dialing an 800 number, or by typing a web address into their mobile browser... but there was a high degree of friction to this process. With the development of software scanners and QR code creator technology, marketers can now easily generate their own dynamic mobile barcodes that link directly to customizable and enhanced digital content. Now shoppers can access extended product information, special downloads, or promotional giveaways immediately from their smartphones. 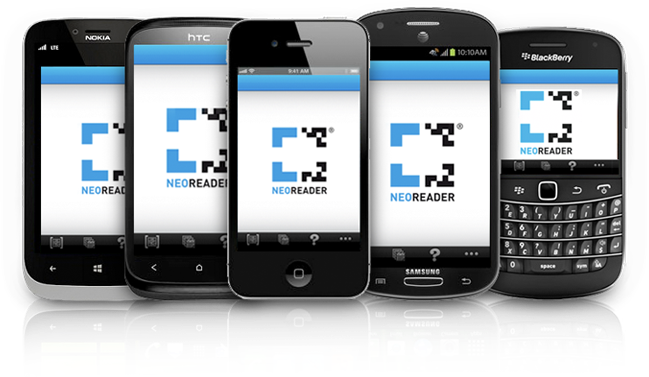 Mobile barcode and QR code creation tools from NeoMedia can help you bridge the gap between consumers and an enriched digital experience. Modern consumers are fluent in mobile apps on their smartphones. They expect an equally tech informed shopping experience from businesses. Provide your customers with the most direct access to digitally enriched content from your brand’s advertising and promotions. Take advantage of NeoMedia’s fully featured solution, NeoSphere, or our self-service QR code creator and management platform, QodeScan. Each business solution offers QR code creation and different levels of analytics for monitoring your QR code campaigns. Contact us to find out about enterprise solutions that allow you to quickly create, modify, and implement all major open standard 2D code symbologies. Or try creating your own free QR code with QodeScan Lite today!